Assignments hold a critical part in the progress of music students. They help give students detailed instructions and practice goals to reach while in-between lessons. As such, we have developed a comprehensive Assignment module enabling teachers to send their students practice assignments with different types of attachments (notes, recording, pieces, etc), directions and guidance on how they should practice . Moreover, teachers are able to tailor each assignment to fit the needs of their student(s), edit assignments, copy-paste them from one student to another, and archive them upon need. 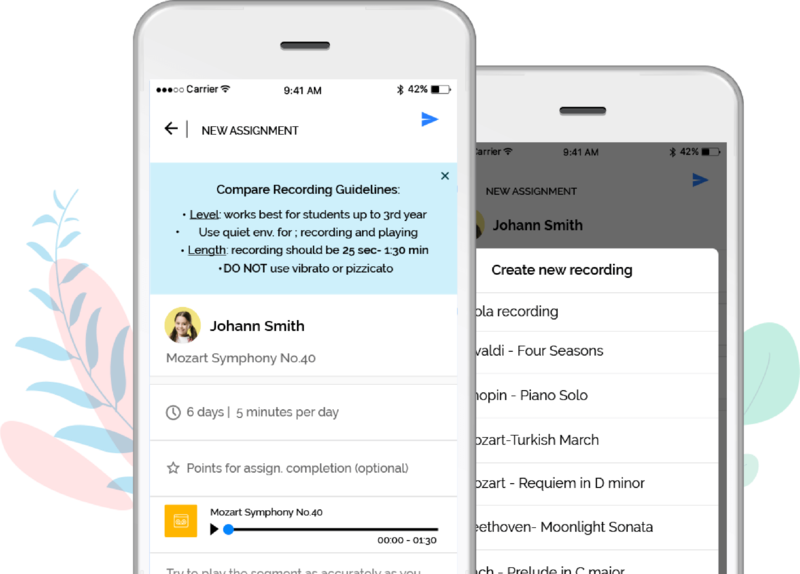 Whether the goal is to practice the piece and receive a perfect score (‘Compare Recording’ assignment) or complete all required repetitions, students will be able to stay on track of their practice goals and teachers will be able to track their progress. Tracking their progress will give teachers the ability to create the most suitable and relevant lesson plan. With our smart assignment module, students are able to get detailed instructions on what to work on in-between lessons. 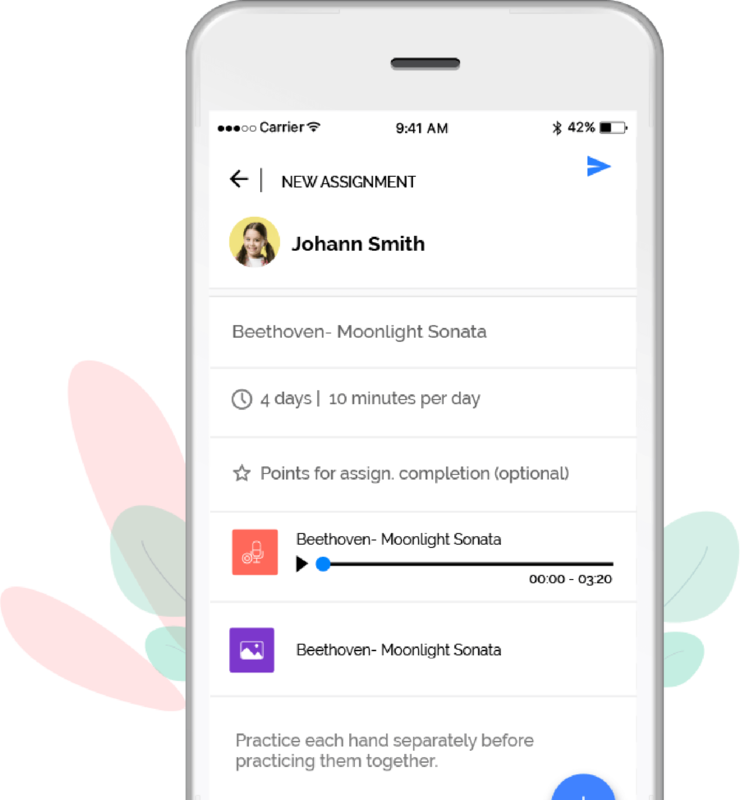 Each assignment can include attachments such as Compare Recordings, Voice Notes, Files, or Textual Notes to help students. In addition, assignments have time goals with a selection of repetitions, so students know how often to practice each week and the duration to practice each day. Compare Recording is a unique type of assignment based on our patent AI technology. Teachers are able to record themselves playing a piece, send it to their student, and then have the student play it back. While the student plays the piece, our artificial intelligence technology will listen to their playing and compare it to the teacher’s piece. At the end of the practice session, students will receive real-time feedback on their fluency, pitch, rhythm, and tempo.